Ask fellow campers about "Peak View RV Park" and nearby attractions. This park is North of Wheatland and 5 miles east on US 26. Easy to find. Interior roads are gravel. Sites are gravel. Sites are bare bones. There is water, good electricity, and sewer - but some of the sewer outlets are raised about 12 inches from the ground. If you squint you can see a peak to the southwest. Otherwise this is a wind whipped barren hilltop. There is nothing here except a place to plug in on your way maybe to or from the Black Hills. Owner works elsewhere and will stop by after work to pick up $. No reservations necessary. We camped at Peak View RV Park in a Motorhome. Park is on the north side of the round on top of a rise. Convenient place to stop when we were returning to Denver. Not far off of I-25 on the road to Guernsey. Mostly semi-permanent residents (10 of 14 available spots looked like they had trailers that had been there for some time). Friendly owner. Sites were gravel and mostly level. Nothing fancy, but filled the need for a convenient, reasonably priced park. We camped at Peak View RV Park in a Fifth Wheel. We stopped at Peak View because we wanted to avoid getting to Denver during rush hour (or should I say "rush hours"?). Since we had the afternoon to get out and tour around, we drove east to Guernsey and out to Fort Laramie National Historic Site. Great place to visit!! Highly recommended. Register Rock in Guernsey also worthwhile if you're interested in Oregon Trail history. Nice place, full hookups at low price, nice people. We camped at Peak View RV Park in a Travel Trailer. nearby state park, very narrow roads, tight curves. This park is in need of TLC, there are weeds everywhere including where you park your coach. They have a pile of rock on site so hopefully at some point they will use it. The check-in was easy pick a site and pay your $25. The turns are tight but we did not have to unhook the toad. For us this was the only choice we where headed to Cheyenne but the rodeo was in town and no vacancy anywhere. The sign to the park is down so it is easy to miss the park it is about 4.5 miles from I25, slow down the turn in is sharp. I added a point because they have the fastest internet we have had. We camped at Peak View RV Park in a Motorhome. In the middle of nowhere bring any supplies you will need, no stores close. This is a very small park outside of Wheatland, quite a drive into town. Quiet and good level gravel sites, and gravel interior roads. No issues with water or electricity. There were 2 washers and 1 dryer. Some permanent residents but they were quiet and gone during the daytime. A no frills park and priced right! Would stay here again. We camped at Peak View RV Park in a Motorhome. Nice and quiet. Very small park. Beautiful area. Perfect for breaking up your journey. We had no problems staying here. Pull-through sites. Lots of tall grass around the utilities so it covered up the sewer, but other than that, everything was fine. Very peaceful. We camped at Peak View RV Park in a Travel Trailer. Just a gravel lot with power, sewer, water, and WiFi, but it fit the bill. No complaints. The owners work at other jobs during the day so you just pull in, find a spot, and register with them when they come home from work. They didn't take reservations. We camped at Peak View RV Park in a Motorhome. It's not really in Wheatland, WY. It's halfway between Guernsey and the US-26 junction with I-25. It's on the north side of US-26. There is a sign that says "RV Park" but the "Peak View" sign isn't visible from the road. 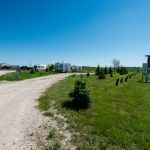 Peak View RV Park is under new ownership. 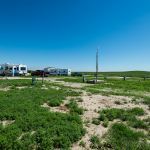 It is located about halfway between I-25 and Gurnsey, WY on US 26. It sits on a hill with a great view to the south and west and the Rocky Mountains. Sites are gravel, full service. Good WiFi and Verizon was 4 bars and great speeds, 10mb/s+. We camped at Peak View RV Park in a Travel Trailer. This is a great location for some site seeing. The Oregon Trail is nearby in Guernsey. The mining town of Hartville is also close by. To the southwest is the modest sized town of Wheatland with groceries. Further to the east is Fort Laramie National Historic site. Are you affiliated with Peak View RV Park ?